All you’ll ever need, at a price you just can’t resist! Proudly cruelty-free! Beauty 21 Cosmetics, Inc., and LA. COLORS® have been making superior cosmetics establishing a name in beauty industries all around the world. Milani is designed for women who love to wear color. Their products allow women to explore and push their boundaries. 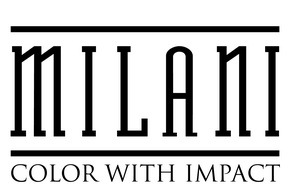 Milani’s easy to use, high-end products, trend-setting and timeless colors are designed for the customer with unique needs. City Color Cosmetics is a full range beauty company committed to offering premier quality, affordably priced cosmetics. Drawing our inspiration from the hues and shades of global cities, we aim to provide professionals, artists and consumers alike with the tools to transform dreams into reality. City Color Cosmetics combines cutting edge innovation, highly pigmented formulas, and on-trend collections without compromising quality. Since our brand launch in February 2011, City Color Cosmetics has strived to deliver luxury-level product at a fraction of the price. City Color Cosmetics’ mission is to equip the world with beauty staples and daily essentials to bring out the brilliance of every girl in every city everyday. NYX Cosmetics was named after the Greek goddess who ruled the night, just like many of thier fans who rule the night life in this modern techno-savvy world. They offer a wide variety of products ranging from eye shadows to foundation and brushes to eye lashes and glitter to glosses. Everything a professional makeup artist needs for the job or that a goddess needs to create her look for a night on the town. NYX Cosmetics originated and is headquartered in the heart of sunny Los Angeles. The cosmetics line was founded in 1999 by a young entrepreneur named Toni Ko. Ms. Ko has been involved in color cosmetics since she was a teenager and has always desired to create and share a line of cosmetics that provided quality products at affordable prices. Ruby Kisses was born from the love of beauty, makeup and trending pop culture! 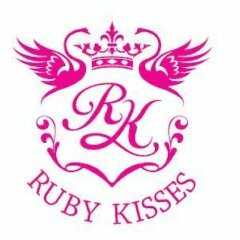 Ruby Kisses passion lies in not only enhancing a woman’s individual appearance, but to deliver quality products at affordable prices. They take great pride in being able to provide a wide range of colors cosmetics to women of all shades and ethnicities.